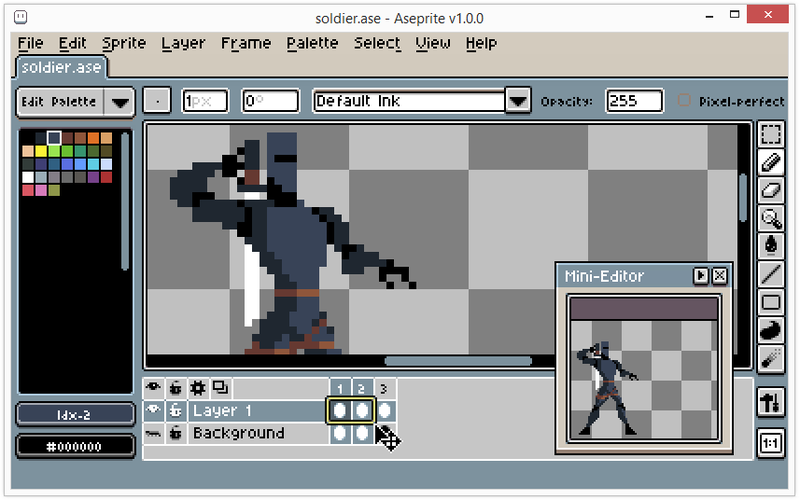 Aseprite is a multi platform animated sprite editor and pixel art tool. Available for Windows, Mac OS X and Linux, the editor and its retro visual appeal provide artists and developers with a huge list of features. Sprites are composed by layers and frames (as separated concepts), which can be colored using RGBA, Indexed (palettes up to 256 colors), and Grayscale. 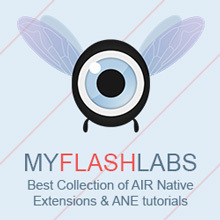 It’s possible to lad/save sequence of PNG files and GIF animations (also FLC, FLI, JPG, BMP, PCX, TGA). The editor has an option to export/import animations to/from Sprite Sheets, as well tiled drawing mode, useful to draw patterns and textures. There is the mini-editor with real-time animation preview, multiple editors support, pixel art specific tools like filled Contour and Polygon, and Onion skinning.